Toyota on March 1 launched an incentives push offering 0 percent financing, subsidized lease rates and, for repeat customers, two years of free maintenance. GM quickly matched that. NURBURGRING, Germany -- Toyota Motor Corp., which dropped out of Formula One racing last year, has no intention of returning because the sport is out of touch with the carmaker’s customer base, the head of Toyota’s global racing program says. The new priority is more grass-roots racing that allows closer connection with the fans, such as NASCAR in the United States and events such as the Nurburgring 24-hour endurance race in Germany, Senior Managing Director Tadashi Yamashina said last weekend in an interview. 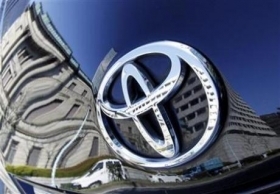 The change in thinking was introduced by Akio Toyoda when he took over as president last June, Yamashina said. It also coincided with the company’s worst financial crunch in seven decades, and Toyoda soon jettisoned the Formula One program in a cost-cutting drive. Speaking on the sidelines of this year’s Nurburgring race northwest of Frankfurt, Yamashina said the financial crisis only speeded up a decision that already was in motion. Formula One remains the pinnacle of auto racing, but its image grew too “elitist,” he said. At races such as Nurburgring, Yamashina said, fans can get right into pit lane and mingle with the teams and touch the cars. They can soak up the atmosphere and feel a part of the event. By contrast, average fans have no hope of strolling the paddock at a Formula One race, he said. Yamashina broke down in tears at the press conference last November when Toyota announced it was pulling out of Formula One. Toyoda himself has cited the decision to quit the sport as one of his toughest calls as president, partly because it involved cutting jobs.